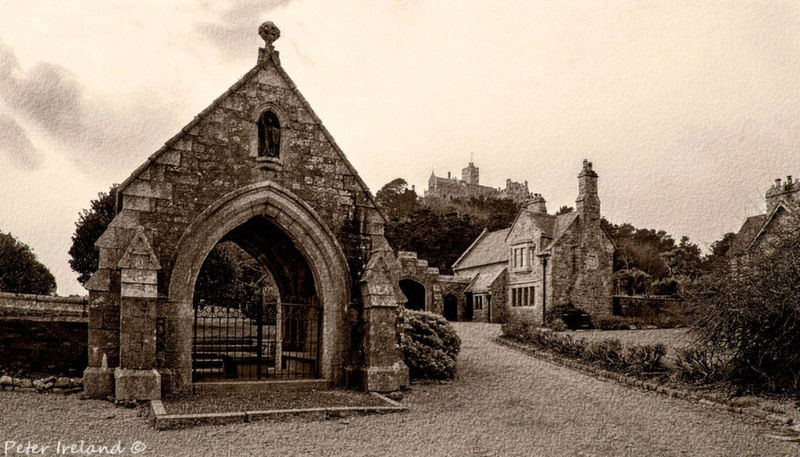 The famous mount in Marazion,Cornwall. Peter, beautiful vintage treatment of this old historic site. The texture, particularly in the sky, works extremely well. Also, the composition is lovely with structures staggered from the foreground through the background. Very nice! Fabulous image Peter, I really like the perspective and the B&W and texture. I agree with Ron- I especially like the textures , and as he mentions, the way the buildings are arranged to make a lovely composition. Very pleasing and unique. Really clever perspective and composition with this one Peter. The different angles of the buildings work brilliantly and the toning is perfect for the timeless feel at this iconic place.